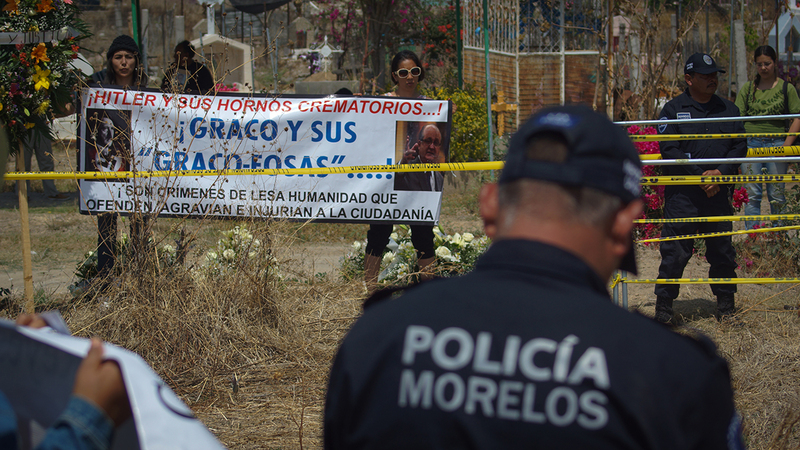 Through signatures, forged documents and without death certificates, on March 28, 2014, the Attorney General of the State of Morelos carried out the burial of 150 bodies in an area that was not officially considered a cemetery. Of the 150 bodies buried in the grave, one of them was Oliver Wenceslao Navarrete Hernández, son of María Concepción Hernández Hernández, who was found dead on June 3, 2013, days after his abduction. With the intention that the authorities provide clarity about the case, relatives of Oliver agreed to the request of Liliana Guevara Monrroy, the deputy prosecutor for the eastern area, who had explained that it was necessary to further carry out forensic examination of the body. 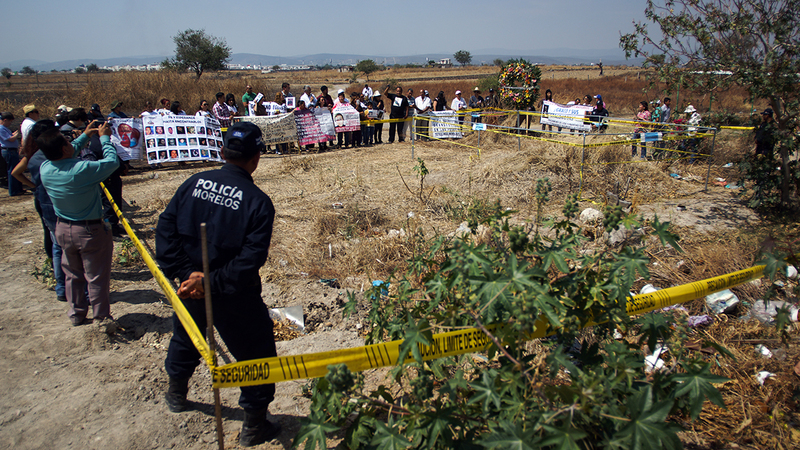 A year and a half after the family of Oliver had made several steps and called for the authorities to deliver the body, they discovered that Oliver was one of 150 bodies that were in a clandestine grave in the community of Tetelcingo, Morelos. 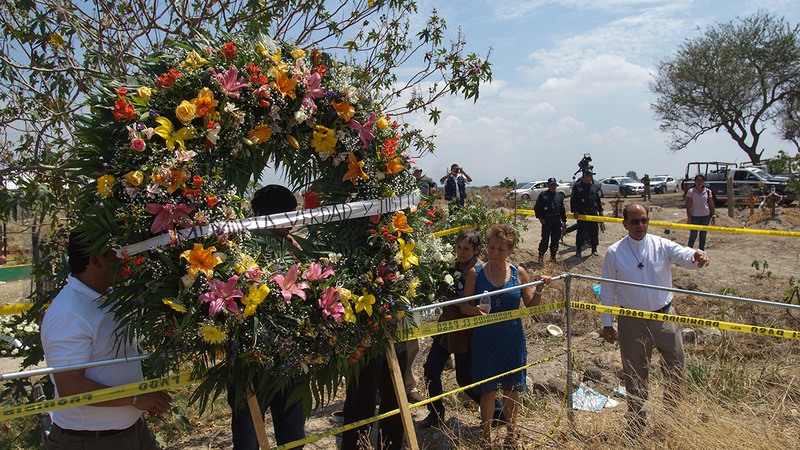 After facing different vicissitudes, on December 9, 2014, Oliver’s mother got the Attorney General of the State of Morelos to exhume the body and hand it over to their relatives. 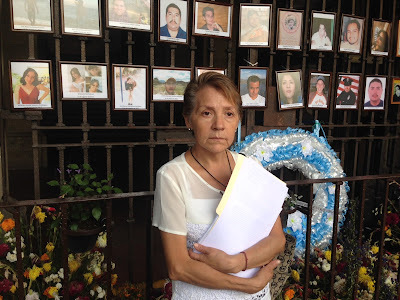 Despite the resistance from the authorities, María Concepción Hernández witnessed and recorded the exhumation of the nearly 149 bodies that were on the body of her son. On March 28, 2016, more than 40 families of victims of disappearances accompanied by Father Alejandro Solalinde, members of the Movement for Peace with Justice and Dignity (Movimiento por la Paz con Justicia y Dignidad), and the rector of the Autonomous University of the State of Morelos (Universidad Autónoma del Estado de Morelos; UAEM), Jesús Alejandro Vera Jiménez, accompanied María Concepción and held a ceremony in the clandestine grave where 149 bodies remain buried without being recognized. Barbaric . 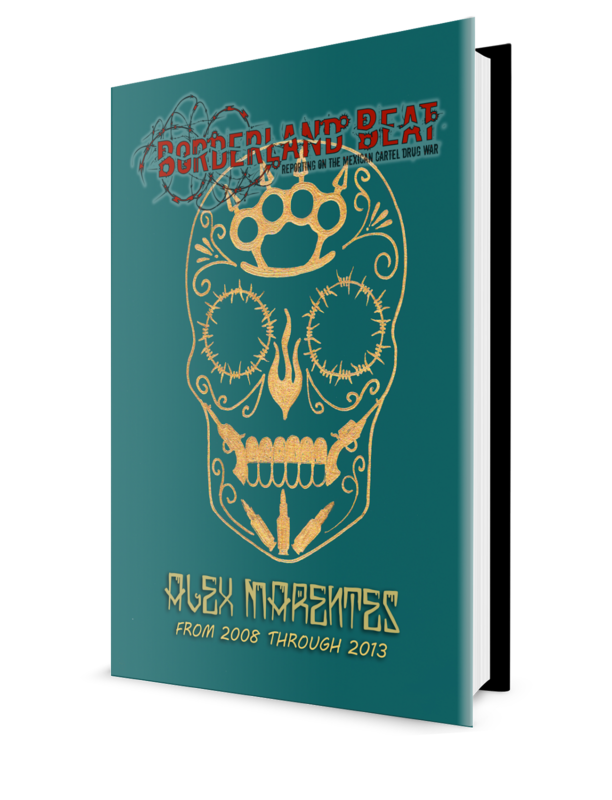 This is Mexico in the 21st century . 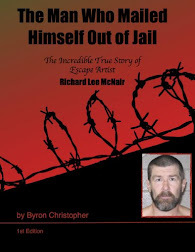 In the USA every now and then some criminal is operating a crematorium and not complying but this is the government . Just pile em in and cover em like they were live stock . Dirty bastards ! 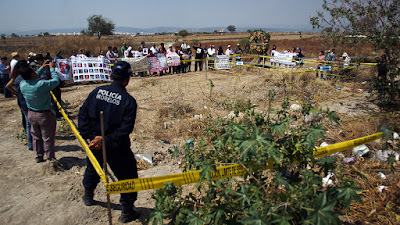 Father solalinde was there to say "they were burned, ya no estén chingando, fué la policia, y los abarca".